About,South Pacific Grand Winches Industry CO., LTD. Since 2001, located in the geographically advantaged industrial district of Sydney, Australia, South Pacific Industrial Pty Ltd is in touch with the need for easy and carefree boating. South Pacific has a strong commitment to producing premium quality products to suit the needs of our international and local Australian clientele. At all stages we are committed to showcasing through every product and each experience, the excellence South Pacific pursues. To create our range of well-designed, high performing, durable and reliable windlasses, the process begins with extensive research and design, through intensive market research to understand the needs of our arket and designers with attention to every detail. 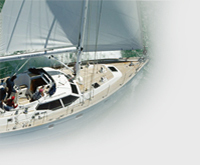 South Pacific sources only the highest grade marine materials, and with the dedication of our experienced engineer to precision, thorough testing is conducted at all stages of production. Our team excellence in manufacturing provides the backbone to ensuring the premium quality products. South Pacific anchor windlasses are visually attractive with uncomplicated installation and smooth usage. Being easy to maintain as well as being vastly reliable, our Anchor Windlasses are assured to have a long, trouble-free life. South Pacific takes pride in providing customers an exceptional product and excellence in service, sure to make a pleasurable experience for all our deserving customers.